Posted June 25, 2018 by Charles Morris & filed under Newswire, The Infrastructure. European fast charging network operator Fastned has opened its first station in Germany. The new station is located along the A3 highway at Limburg an der Lahn, and features several 350 kW DC chargers. The roof of the station is equipped with solar panels. According to Fastned, all the energy delivered by its network comes from renewable sources. Fastned currently has 73 stations operational in the Netherlands, and is preparing to roll out its network to other countries, including the UK and Belgium. It plans to open 18 stations in Germany before the end of the year. 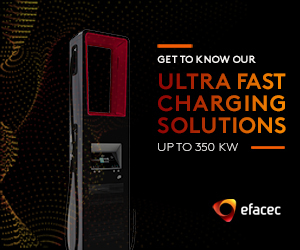 The company’s ambition is to build a European network of 1,000 fast charging stations, including several hundred in Germany.